Handyman garage doors is a full service garage doors company. Belmar, NJ being a beach town means lots of wear and tear to your garage door and springs. Weather fluctuations are one of the biggest causes of garage door spring problems. We are available year round to help solve this problem. When it comes to garage door spring repairs we are the best. We guarantee you the job won’t take over three hours to have your doors functioning at 100% again. We send a technician out who comes ready to fix any problem so it is not a long hassle like other companies. We are equipped with torsion springs, extension springs and openers. Just call us today. Are you a resident of Bradley Beach, NJ? 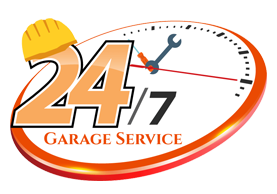 Do you need a garage door repair or installation? The question is not if we can help you it is how can we help you. Handyman garage doors is ready to come to your service and provide its best customer experience. No job is too hard for us. What are you waiting fr call us today.